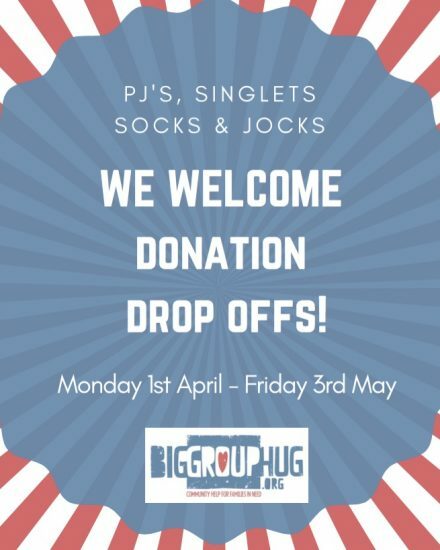 Big Group Hug wants to ensure all our kids are warm this winter by including pyjamas, singlets, socks & underwear in all our donated packs of clothing. The ‘Pj’s, singlets, socks & jocks make for warm & happy kids & tots’ campaign asks families to provide new Pj’s, singlets, socks and underwear for children aged 2 to 16 years old. These items will be distributed to families within our community as requested. 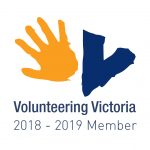 Donate new or pre-loved items (for newborn to young-teenager (size 14)) or make a financial contribution to support our work. Do you have a request for goods? We work with Maternal and Child Health Workers and other community welfare agencies. Do you want to volunteer your time or skills to Big Group Hug? Get involved and become part of our amazing and talented team. Become part of our online volunteer community. Like us on Facebook and start by following the Big Group Hug journey! Keep up to date with Big Group Hug news and updates. Don’t miss things! Big Group Hug shared a post. Can any of our supporters lend a hand to our friends at The Nappy Collective? The Nappy Collective provides Big Group Hug with many much needed nappies and we would love to help them out as well. For further details, click on the post below. If you've said yes to these questions, please get in touch with us by clicking on this link!